One of the highly anticipated action role-playing games of 2016 was finally released. 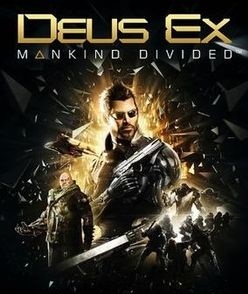 Like many other AAA titles, Deus Ex Mankind Divided is also associated with startup problems, error messages and crashes. In our troubleshooting guide below we provide solution and support for the most common and known issues. Before you start the game you should check the official system requirements to make sure that your PC can run the game. The current situation may start the game and then crashes for which there is currently no fix but following problems with fixes are already known. - Update your graphics card driver. - Turn Off Contact Hardening Shadows. - Turns on or off volumetric lighting. - If you have a graphics card with 4GB RAM, then set the graphics settings to "High". - Let the game run in full-screen. Game crashes start at the train station can be avoided by following workarounds. - Change GPU PhysX settings to auto in the Nvidia Control Panel. - Set the graphics settings lower. - Select no DLC content in the game features in your games library. - Start the game in windowed mode. - Turn off the subtitles. A known issue for which there is no fix or a solution yet. Ensure that your drivers are up to date and adjusts the frame rate to a 60 hz. The screen remains black, you can switch to Windowed Mode and customize the game resolution of your PC monitor via Alt Tab. Start the game and go to the options. Change your mouse sensitivity to ZERO. Currently there is an error in Breach mode, in which the final reward issued to players is unlimited. Therefore, currently an alternative reward will be given. Once a patch is released, the right reward will be issued again. Players, who have been able to get done the Breach mode, get the corresponding reward awarded retrospectively. Where Are The Digital Contents? If you have the digital collector's edition of Deus Ex: Mankind Divided and asks you where to find the soundtrack, Novella, the Art Book and the Comic, simply navigate to the following folder: \Steam\steamapps\common\Deus Ex Mankind Divided\Extras.